Mark Hamill | What to Watch. When Joseph receives a beautiful coat from his parents, his eleven brothers hate him even more and are driven to sell him to desert merchants who take him to Egypt! There he is made the servant of a wealthy Egyptian who misunderstands him and has him thrown into prison! He shows his God-given gift by interpreting the dreams of two other prisoners. Eventually, the Pharaoh begins to be plagued by dreams and sends for Joseph, who interprets them and saves Egypt in the process. He is made second in command to Pharaoh, and has most of Egypt’s grain stored. Eventually his brothers arrive in Egypt to buy food because of famine, and he must forgive them. Then the dreams that had angered his brothers were in reality prophecies that had come from God. 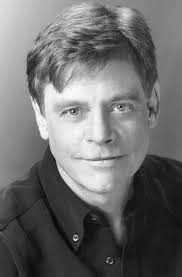 This entry was posted in 2015, Actors, films, Lists, movies, Tv shows and tagged A New Hope, actor, chuck, Dinner for five, director, Episode IV, Episode V, Episode VI, Hollywood, IMDB, jon favreau, Joseph: King of Dreams, Mark Hamill, Return of the Jedi, star wars, Star Wars: Episode IV - A New Hope, Star Wars: Episode V - The Empire Strikes Back, Star Wars: Episode VI - Return of the Jedi, The Empire Strikes Back. Bookmark the permalink.